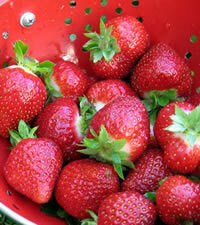 Growing strawberries is a fun and rewarding hobby that really spans the age groups. The young and old alike can still get excited about starting a strawberry plant from a tiny little seedling, and watching it grow and mature and sprout all kinds of plump red strawberries. We all want to get the most out of our strawberry plants, so we have put together a collection of tips that you can use in your own landscaping ideas, to grow the best strawberries possible! Many of these tips are common sense things that would apply to most types of plants in general. Others are specific to strawberry plants themselves, but all of them are good rules of thumb to follow when growing your own strawberries. You are going to spend a lot of time tending your plants and working out in the garden, so why not take a few extra steps to ensure that your strawberry plants have the best chance you can give them? Don't Rush Things! : Growers in general are not very patient people. We always know that good things come to those who wait, but who really wants to wait??? The problem with strawberries is you almost have to if you want the best results long term. There are those out there that will tell you that strawberries won't produce fruit the first year they are planted…nonsense!! If you allow the plants to bloom and continue on through their life cycle, they will absolutely bear fruit. The real question is not if they can, but rather should you allow them to? The first year you plant strawberries, they are going to spend a large part of that year working hard to produce berries for you, when they really should be investing their energy in developing roots and runners. So the hard part is doing what is best for the plant in the long run, and pinching off the flowers that would otherwise turn into delicious strawberries. It's ok to let a couple flowers bloom and produce a couple strawberries, that way at least you can say you got a sample of what is to come, but the keyword there is a "couple". Keep the Plants from Freezing! 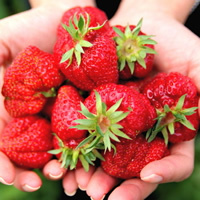 : Strawberries are actually pretty hardy plants in most climates, but if you live in a region where the temperature frequently drops below freezing and stays there, you are going to need to take a few steps towards protecting your plants from those killing temperatures. The best way to do this is to layer several inches of a straw mulch over your plants, and we are talking about 4 inches or so thick. The straw will help insulate the plants by trapping heat from the sun. You will have to be careful however when spring rolls around and rake off the mulch once the weather breaks. Strawberries grow better without it and if you uncover them early on, keep the straw nearby in case the threat of another frost comes. You can easily push the mulch back over top of the plants to protect them for a few days if necessary. Like I said, strawberry plants are a lot tougher than they look and they seem to adapt well to a wide range of growing conditions, but a little extra care over the winter months can ensure that you don’t lose your entire crop! Basic Maintenance Goes a Long Way! : One of the biggest enemies of many gardeners is apathy. We get busy, or life throws us a curve ball or two, and one of the first things that seems to suffer is the yard work. Don't feel bad, we've all been there! If you are growing flowers and plants for aesthetic purposes, that's one thing, but if you are investing your time and energy on growing plants to produce food, well you really need to give those a priority one way or the other. It's not like strawberry plants are terribly pretty to just look at. At the start of every fall, before the weather gets bad and it's too cold to work outside, you should get out there and clean up your strawberry patch. Start off by removing any dead leaves and plants from the growing year, including weeds and any other foreign debris. 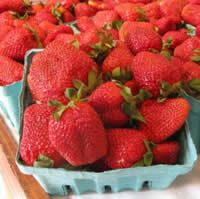 You should also remove any strawberry plants you might have that are 4 years old or older. These have lived a good life in your garden but their time has passed. Take the mower and mow down your plants to a height of just an inch of two; it's ok to shed a couple tears during this process, no one is judging. Rake all the cuttings back into the planting area along with a good 10-10-10 fertilizer. Your plants will thank you the following spring, trust me! Certified Plants: When you look around at buying strawberry plants, find those that are certified. The simple definition to certification is they pass all standards for being disease free, and certified plants also tend to have a much greater yield. This is actually a big deal when growing strawberries because a diseased plant can literally devastate your entire crop, leaving you with a bad taste in your mouth. So pay a little extra for certified strawberry plants. Strawberries are Thirsty Plants! : One of the worst things you could do to your strawberry plants, other than trampling the poor things, is to starve them of water. 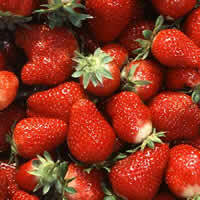 Strawberry plants need a lot of water, consistently, throughout their growing season to produce fruit. If the rains in your area are not providing an inch of water per week for your plants, then you will need to step in and supplement them with regular waterings. 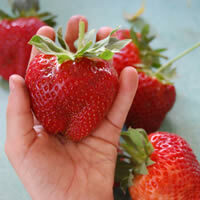 Be sure to check out our other articles in this topic for more great growing strawberries tips!